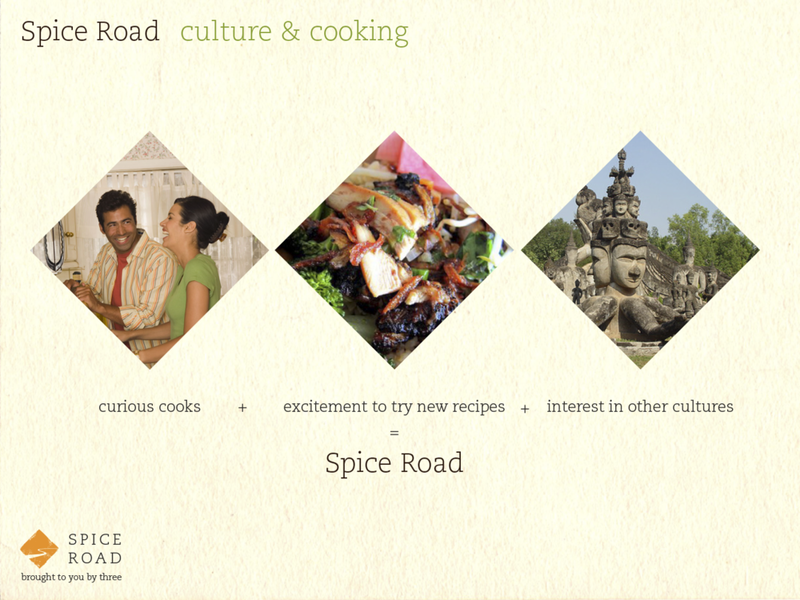 Spice Road is a network through which you can taste, touch and experience culture and tradition. It is a subscription-based service that curates exciting recipes and earthy homegrown remedies from diverse communities internationally. Spice Road was a group collaboration between Trey Hurst, Yagmur Ilgen, and myself. Our project brief was to come up with a product or service, develop the product from ideation to delivery and launch. This process included dividing tasks and roles in the team, service design and user experience, brand strategy, and identifying target markets. 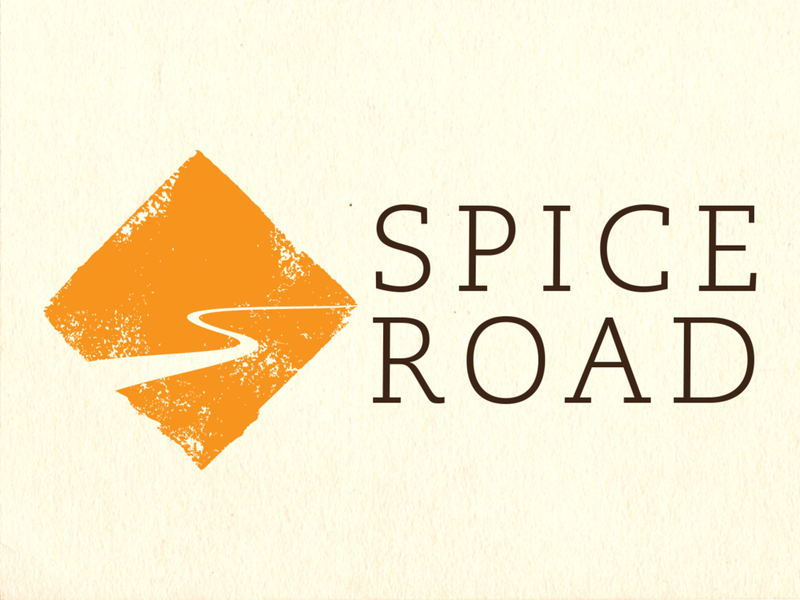 Spice Road is a subscription service in which spices, recipes and stories are delivered to our customers on a monthly basis. Each month you would receive a spice, five recipes, and images and stories that come directly from the people who cultivate the spice. Our company invests in the communities in which we engage with, creating lasting relationships and meaningful partnerships. Our curious cooks are invited to share their creations each month on our website, create cooking circles with friends, and continue the stories and conversations in a larger context. 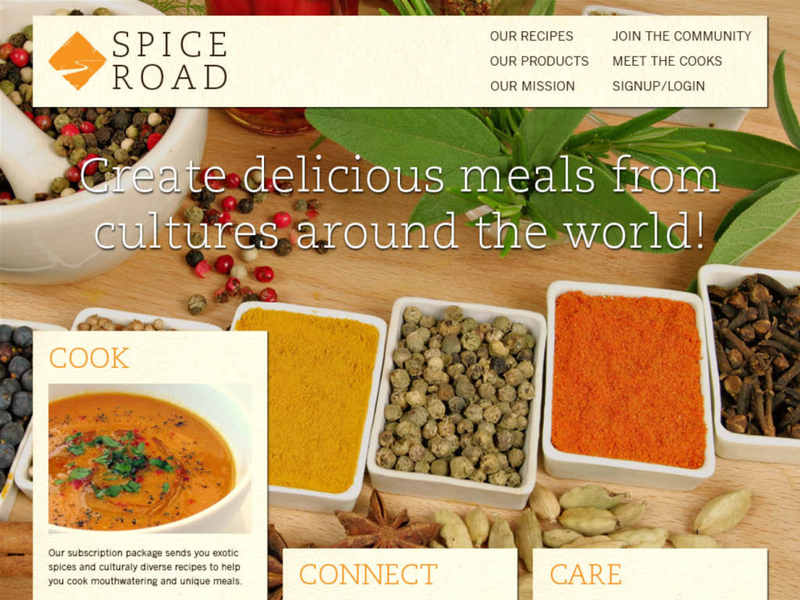 In extending the Spice Road concept further, we thought to host events with restaurants or pop-ups to create a marketing outreach. As part of our brand development we created boards that became our company roadmap. We started with our core visons and values. Identified what our brand attributes were, what type of journey we want to take our customers on, and how we imagined we would positively impact the communities we would be sourcing materials from.